This is the one you've been waiting for! Beautiful Copperwood Condominium with stunning renovated dream kitchen with walk out bay. Ideal for entertaining! 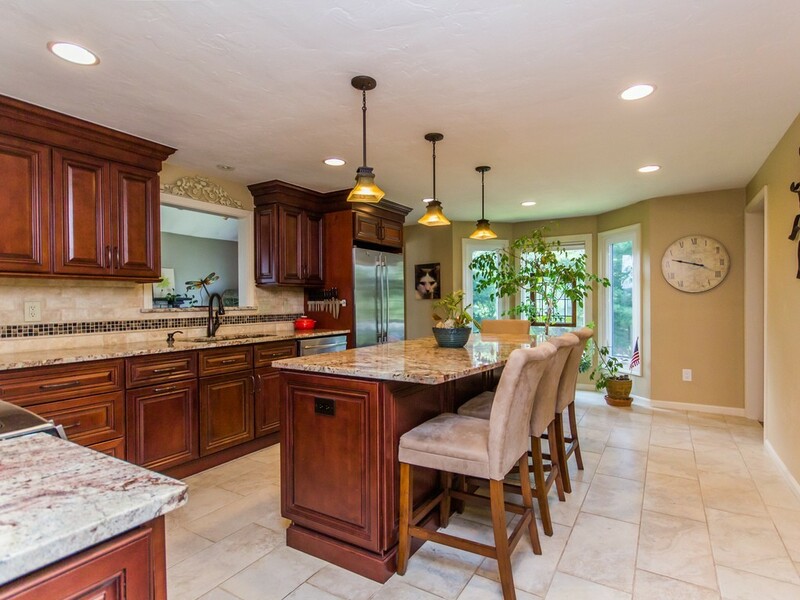 Quality cabinets galore, granite counters, center island, ss appliances, built-in microwave drawer, recessed lights. Family room with wood-burning fireplace, cathedral ceiling and sliders to deck. French doors opening into dining room. First floor laundry. Gracious foyer with coat closet. King sized master bedroom suite with soaring ceiling, walk-in closet, master bath and loft with skylights. Use your imagination for the loft! Sitting area, office space, for the artist, or workout/exercise room! Additional storage room off of loft. Newer windows throughout. Room to grow with full basement with high ceilings and potential to be finished. End unit surrounded by lovely green space. One car garage.